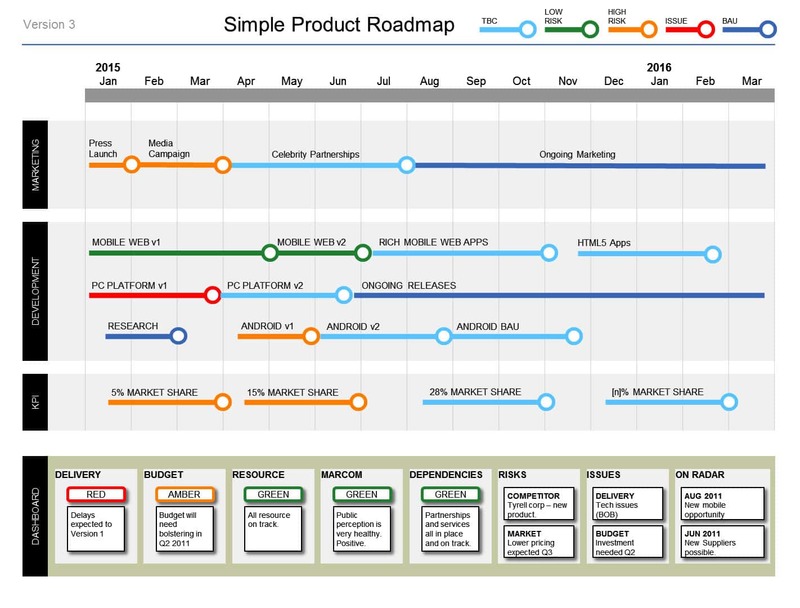 This guide will explain the important parts of a Project Roadmap. It includes workstreams, activities, timelines, risk levels and other elements needed for an effective project roadmap. 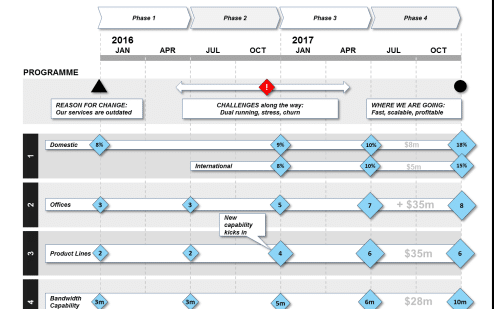 A Project Roadmap is a simple presentation of project ambitions and goals alongside a timeline. It tells a story of the project plan, and communicates important project information quickly. An example: Step-by-step Roadmap Template Guide. Available in Keynote and Powerpoint. IMPORTANT: A Project Roadmap IS NOT the place for detailed project plans and detailed information. What is a Project Roadmap used for? What does a Project Roadmap include? It is on 1 side of paper (or 1 slide in a presentation) to keep it simple! See our Creating a Roadmap guide here. Simple Roadmap Templates to help with your PresentationHow to effectively compare companies, products, services or even people.